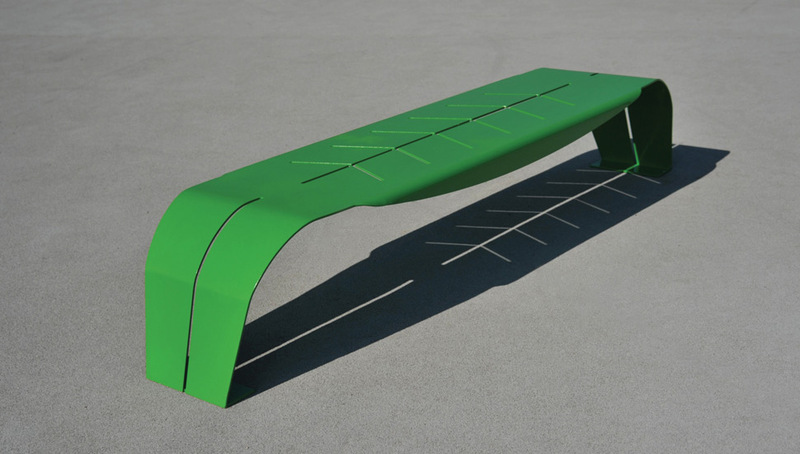 The organic shape of ths seat is obtained from a single steel plate. Confortable and wide seat is tapered and folded on two sides, till they touch the ground. Simple and essential laser cuts on the seat remember the leaves veins, also allowing the water flowing when placed outdoor.